Sorry I’ve been behind in my postings lately, but, unfortunately, sometimes one has to make earning a living a priority over one’s stitching. A sad but true reality. Yesterday, in a desperate attempt to do anything besides finish grading the final set of research papers I just received, I cleaned and reorganized my home office. My home office has always had something of a split personality — half Victorian scholar’s cubby-hole, half knitter’s storage unit — but lately it’s taken on a kind of manic, schizophrenic, o ut-of-control quality that makes it nearly impossible for me to get anything done. Needless to say, on most days I find it hard to work up the energy or the passion to tackle this ravenous beast, but when I’m confronted with a stack of (largely uninspired) papers to grade, I often find myself excited to do all kinds of things that would otherwise be unthinkably dull. However, my procrastination is your gain, my friends! I have discovered that I have duplicate copies of two very nice knitting magazines, the Fall 2012 issue of Jane Austen Knits and the Fall 2012 issue of Knitting Traditions (pictured below and above, respectively). I don’t know what I could have been thinking about in Fall 2012! Anyway, one or both of these can be yours if you leave a comment below with one interesting observation about your own (bad?) knitting habits. * Good luck to all! *Special note to international readers: I will try my best to find an affordable way to send your magazine to you, but I reserve the right to cancel this giveaway if the cost of postage becomes prohibitive. Hi Yuki! Thanks for stopping by! 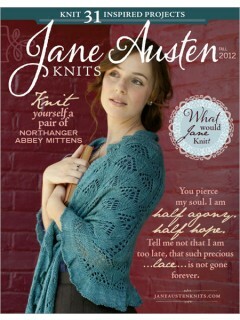 The *Jane Austen Knits* is yours — send me your address by email to thelyfsoshort@att.net, and I’ll pop it in the mail. I’m glad it’s going to a good home. I’ll let you know if anyone else claims the other one. I love it when you do magazine giveaways! My bad knitting (and crochet) habit is that I wait until the end of a project to deal with the ends of the yarn. Sometimes a project sits around for a while before I get to dealing with them. My last project (a blanket) had 54 ends to deal with. Ugh! Hi Robin! I have the same bad habit — I hate dealing with ends, so I put them off until the end, which just makes it worse. 54! Yikes! What a nightmare! Send me your address to thelyfsoshort@att.net and the issue of *Knitting Traditions* is yours. Thanks for reading! Kate – your generosity is cray cray. 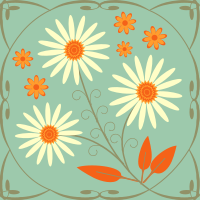 Thanks, Daisy! Sorry you missed the giveaway!